Global CBCT Dental Imaging Market is expected to reach USD 817.5 million by the end of the forecast period and is expected to grow at a CAGR of 9.8%. The Global CBCT Dental Imaging Market and is expected to reach USD 817.5 million by 2023. Regionally, North America holds the largest market share of global CBCT dental imaging market and is expected to reach USD 326.6 million by 2023. Advancements in the technological aspects of CBCT dental imaging, the market has developed at an accelerated pace in the past. Dental practitioners have effectively migrated from 2D scanning and imaging systems to CBCT dental imaging due to the benefits that can be gained from its use. The practitioners by the use of CBCT imaging derive better and higher quality of data to treat dental ailments better. Rise in the level of elderly population is an important factor contributing towards the development of the market. The segmentation of the CBCT dental imaging market in India, U.S., & Europe has been segmented into type of detector, application, end users and region. The segmentation on the basis of type of detector comprises offlat panel detector and image intensifier. The application basis of the market comprises of segments such as endodontics, dental implants, orthodontics among others. On the basis of end users segments of the market comprise of academic & research institutes, hospitals & dental clinics and others. Lastly, the regional segments of the market comprises of Europe, North America, Asia Pacific and Rest of the World. Europe, North America, Asia Pacific and Rest of the World are the regions that are being studied for the CBCT dental imaging market globally. The U.S. in the North American region is the major market for CBCT Dental Imaging. A CAGR of 9.5 percent is forecasted for the U.S. market for CBCT dental imaging and is estimated to touch USD 280.9 Million in revenues by the end of the forecast period. The European region is the second largest in the market which is estimated to develop at a CAGR of 10.0 percent. India in the Asia Pacific region is estimated to be a rapidly growing region in CBCT dental imaging market. 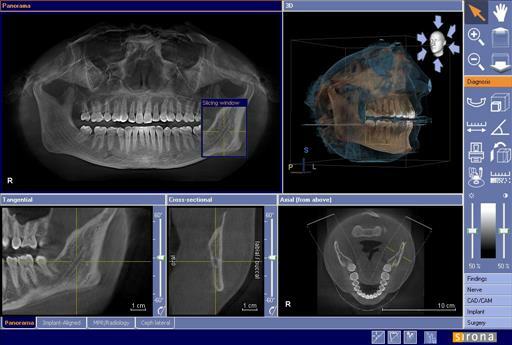 The foremost competitors in the CBCT dental imaging market are FONA Dental, S.R.O., Sinclair Dental/Dentaire (Canada), SOREDEX (Finland), Vatech Networks (Republic of Korea) Gendex, Imaging Sciences International, LLC (US), JKaVo Dental GmbH (Germany), Carestream Health (US), Dentsply Sirona (US), NewTom, Planmeca OY, Prexion (US), .MORITA MFG.CORP. (Japan), and others. 43 new patents have been awarded to Carestream Health has been awarded from the U.S. Patent and Trademark Office last year for innovation incone beam CT imaging and dental imaging being some of the key focus areas. The business also received 52 additional patents in Asian and European countries last year. Among others, the key patents included new medical image capture technologies connected to the growth of cone beam computed tomography (CT) systems designed for orthopaedic extremity imaging.